A month after Elder Barnes and Karen married; Abundant Life Church of God in Christ was birthed in the living room of their Brandon, Florida apartment. At that first service, five members were taken in. Within three months, the building at 4125 Nassau Street West became the home of this budding congregation. Two years later, son Michael (or Prince Michael, as he often reminds his mother) was born. The size and composition of the church were ever changing, but Pastor Barnes' commitment to excellence never changed. He was always timely, faithful, and careful to minister to the few as diligently as he had ministered to the thousands all over the world. He has passionately poured into the lives of many individuals, helping them to develop their gifts and callings to a level that would make both God and the Church proud. His method was staunch, but loving. Mediocrity was his enemy, and slothfulness his foe. He expected the same of all who served under his leadership. 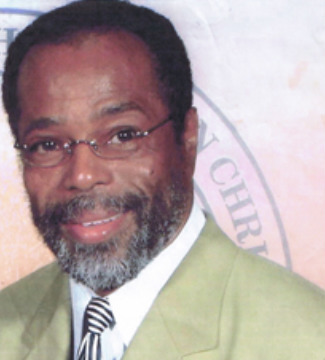 On Sunday, February 26, 2006, Pastor Matthew Barnes entered into rest. Rest from labor, from sickness, from disappointments and all else. He never gave up, but rather, gave in, knowing that "to be absent from the body is to be present with the Lord." We, the members of Abundant Life, are tasked with building on his legacy, and carrying out his God-inspired vision to "Help stop the perishing"